Cardio, core workouts, cute chubby babies and community spirit–that’s what you’ll find at Baby Boot Camp Athens. 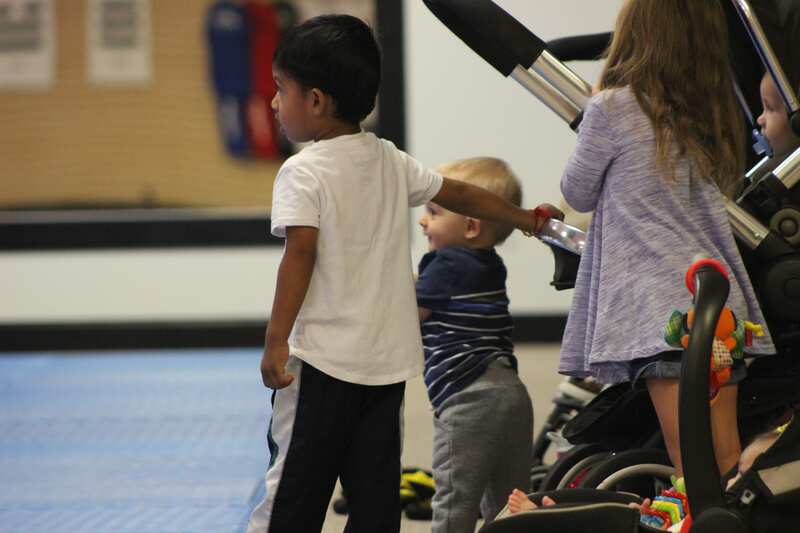 The fitness group strives to balance the fitness needs of new moms with their desire to spend time with their children. The group put on a full Spirit Week which culminates with a family tailgate for UGA’s homecoming game against Vanderbilt on Saturday, Oct. 6. Classes during this week are free, and have different themes such as crazy sock day and hat day. There are also more UGA themes like red and black day and Georgia Bulldog day. Baby Boot Camp Athens founder and fitness instructor Hannah Gay graduated from UGA in 2011 with a degree in Furnishings and Interiors. Gay looked at the UGA football calendar and thought UGA’s homecoming week was a good week for Baby Boot Camp Athens to have Spirit Week. She says that themes for class gets the moms and kids excited and puts a new spin on what might feel routine. Spirit Week concludes with Saturday’s tailgate for moms, their kids and the whole family. Gay plans to bring coloring page, blankets and whatever kinds of toys she can “fit in her bag” to keep the kids entertained. There’s no telling how many families will attend Saturday’s tailgate, Gay said. She knows the unpredictability that comes with having young kids– which is the problem Baby Boot Camp Athens helps solve. Baby Boot Camp Athens is “really low pressure… because we understand, you know, that it just sometimes doesn’t work out with the schedule,” Gay said. One thing Gay does know for sure is that the tailgate and all of the classes is BYOB: Bring Your Own Baby.